Journalist-turned-politician Abdul Aziz Ishak was an avowed socialist who played a role in the struggle for independence but remains largely unappreciated. Cabinet colleagues: Abdul Aziz having a conversation with the Tunku after the first Cabinet was formed. ABDUL Aziz Ishak (1922-1999) was a controversial figure, whether as colonial civil servant, journalist or politician. He remains an enigma unlike his brother Yusof who was well known both as a journalist and the founder of Utusan Melayu and as the first President of Singapore after the separation with Malaysia in 1965. Aziz was, in fact, the only member of the pre-war Kesatuan Melayu Muda (KMM) to have served in the 1955 and post-Merdeka Cabinets under Tunku Abdul Rahman. Be-tween 1955 and 1963, he was the Minister for Agriculture and Co-operatives. He resigned from the Cabinet due to irreconcilable differences with the Tunku and other Cabinet colleagues. As Minister of Agriculture and Co-operatives, his efforts in rural development to improve the lives of padi farmers and fishermen were important although less known compared with similar efforts undertaken by the Rural Development Ministry. Another equally important aspect of his political career was his detention between 1965 and 1966 under the Internal Security Act during the Indonesian confrontation. He was accused of being a traitor and collaborating with Indonesian agents to form a government-in-exile, a charge that he denied. In his book Special Guest: The Detention in Malaysia of an Ex-Cabinet Minister he describes in detail the irreconcilable differences with the Tunku and the events that led to his resignation, subsequent detention and release. The book was banned and only allowed restricted access in university libraries. His earlier biographical account Katak Keluar dari Bawah Tempurong stopped at 1955 and his subsequent appointment as minister. 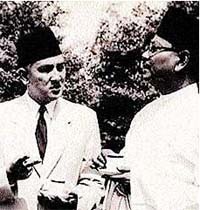 As a result, not much is known about Aziz Ishak and his role in the struggle for independence through the newspaper Utusan Melayu and in the political arena when he was head of Selangor Umno and Selangor Alliance in the mid-1950s when the political bargaining among the Alliance partners were struck. It was through journalism that Aziz became widely known in Malaya. He wrote feature articles on Umno, on the state and federal administrations and occasionally editorials. Aziz was a member of the KMM while he was a fisheries officer in Kuala Kurau. In 1946, he and Abdul Samad Ismail formed Gerakan Ang-katan Melayu Sedar (Geram), which was refused registration by the colonial authority. It was closely watched by the Special Branch. Geram was critical of the Malayan Union; it was also critical of Umno because of the prominent role of the feudal aristocracy within the movement. Geram died a natural death when Aziz moved to Kuala Lumpur in 1948 as Utusan Melayu correspondent in the central region. Aziz was the only journalist who was appointed a member of the Federal Legislative Council and he played an active role in its proceedings. In September 1951, he urged the government to declare an end to the Emergency. His political involvement was varied. Before 1942, Aziz was a member of the KMM and after 1945 sympathized with the PKMM. However in 1950 he joined Umno when it was still led by Datuk Onn Jaafar although his idea of full independence for Malaya at this time was neither acceptable to Onn nor the Tunku. When the Independence of Malaya Party was formed in 1951 by Onn, Aziz became deputy chairman of the IMP’s Kuala Lumpur branch and contested the 1952 elections in Sentul but lost to the Alliance candidate. In the same year, he left the IMP due to personal differences with Onn. Upon the Tunku’s encouragement, he rejoined Umno in April 1953. Aziz then held important positions within Umno and the Alliance. In 1953, he was appointed to the Alliance Round Table Confe-rence that called for an early general election in Malaya. In 1955, he was appointed head of Selangor Umno and chairman of the Selangor Alliance. He was very much involved in drafting the 1955 Alliance manifesto for the general election held that year; the manifesto covered issues such as Malay language, agriculture, economy, education, and finance. In the elections, he stood on the Alliance ticket and won in Kuala Langat. He faced a Parti Negara candidate, a former schoolmate. Despite official backing for Parti Negara, including from the colonial police force, the Alliance went on to win the first national elections, taking 51 of the 52 seats. Earlier in September 1954, Aziz had campaigned actively with the Tunku in the Terengganu election which was won by the Alliance despite open support for Parti Negara by the British. Aziz was appointed Minister of Agriculture and Co-operatives, a post he kept until 1963. Tun Abdul Razak took note of Aziz’s useful work among the rural folk, especially the setting up of co-operatives to eliminate the exploitation by middlemen. The year 1955 saw a growing rift between Aziz with his Cabinet colleagues, notably the Tunku and Abdul Razak who was overall in charge of rural development. Aziz’s blunt criticisms of ministers, such as the wearing of uniforms, did not endear him well with the Tunku. He was also unhappy at the Alliance’s neglect of the 1955 manifesto due to the exuberant push for political independence. In his memoirs, Aziz claimed that the 1955 Cabinet was beset with policy differences on various issues, including the replacement of expatriate British officers with Malayans or Malayanisation. Aziz was equally passionate on press freedom that he claimed had been eroded after 1955. Aziz resigned from the Cabinet in 1963 after he was transferred to the Health Ministry. Soon after, he was expelled from Umno. Perhaps there was no place for a socialist in a Cabinet that was pursuing capitalistic policies and firmly committed to upholding a free-market economy. He turned down all subsequent offers of state and federal awards. Yet one cannot deny his contributions in the struggle for independence. Abu Talib Ahmad is Professor of History at Universiti Sains Malaysia and author of Malay-Muslims, Islam and the Rising Sun: 1941-4. The Founding Fathers series is coordinated by Dr Joseph Fernando of Universiti Malaya, Kuala Lumpur, and Research Editor Dr Lee Kam Hing (leekh@thestar.com.my).